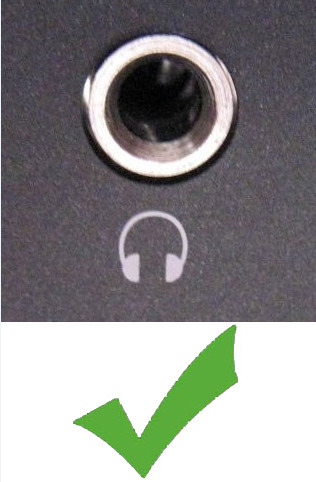 IMPORTANT NOTICE: Pls note that if you switch audio source, e.g. from Netflix to Cable, TV will reset the audio settings. SO you need to RE-DO the TV audio settings again. Note: If you go through all the following troubleshooting but still no sound, please send the following pictures to us for double check. 1.The screen of the transmitter to show its status. 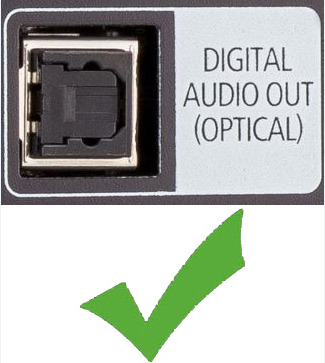 2.Your TV sound settings show external speaker / optical out / headset. 3.Your TV sound settings show PCM (only if use digital / optical cable). Before getting into it, take a look at this VIDEO GUIDE, and try setting up again. 1. Take a look at the led indicators on your Audikast transmitter and AS9S headphones. Are both of them lit SOLID BLUE? If NOT, go to HT4189 - Troubleshooting - Fail to reconnect. If YES, go to 2. 2. Did you connect your Audikast transmitter to your TV? There are 3 ways to do it, please only use ONE. Note：The below setion is only a general idea of what it may look like; different TV brands will have different menus. 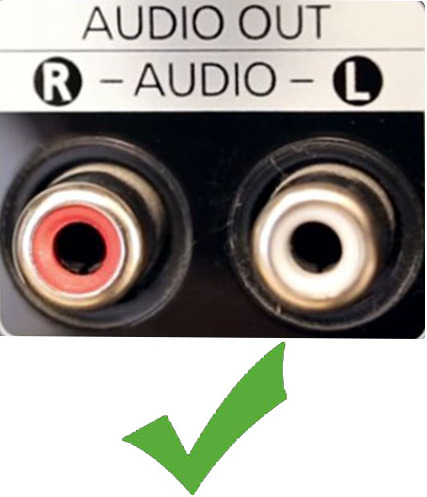 Adjust your Speakers setting to "Headset"
Make sure you only use the RCA ports labeled "AUDIO OUT," other ones won't work! Ans adjust your Speakers setting to "External speakers"
Ensure your TV audio format is set to “PCM” or "audio out/optical"or "DOLBY/DTS" is off, Bluetooth adapter does not decode Dolby/DTS;And adjust your Speakers setting to "External speakers"
If you're using AUX connection: How can I make the TV audio come out through headphones? If you're using RCA connection: How can I set my audio out to "external speakers"? How can I make the TV audio come out through RCA output? If you're using OPT connection: How can I set my audio out to "PCM" and "external speakers"? How can I make the TV audio come out through OPT output?